be emptied and stored flat, making them easy to carry in your sports bag. Got sore or tight muscles but no time to get into the physio? The spikey ball is an essential item to have in the house. You can use it to release tight muscles, therefore doing your own massage. Lean against the ball on the floor or against the wall to get the best effect. Are you constantly struggling to improve your posture. A Clavicle brace helps to hold your shoulders back, retraining the muscles on how to hold you in a good postural position. Good posture helps protect your back, neck and shoulders. If allows you to look, breath and feel better. The brace is an extremely cheap but very effective away of helping learn how to position yourself correctly. Wear the brace for 20minutes 3 times a day for incredible results. Speak with our therapists to find out more. Spoil yourself with your own personal masseur. This incredible hand held machine will ease out tight and sore muscles. 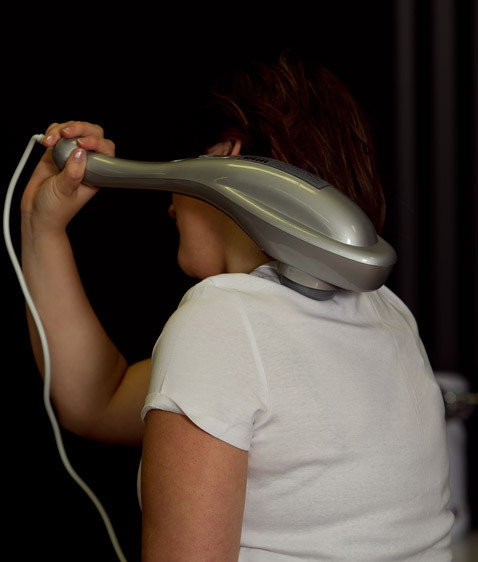 Designed by Dr Graeme, an Australian chiropractor, the machine has 3 different massage heads and multiple speed settings. A flick of the&nbsp; button and you can knead out those sore spots and break up your knotted muscles. Come in and try out our trial demo in the practice! Balance is the first thing to deteriorate as we age, from our 30's on. We are then at more risk of stumbling, tripping or falling. Training your balance not only helps to prevent this from happening but it makes the whole body more efficient. Quicker reactions means you are less likely to wobble around putting adverse stress and strain on the body. Injury will also affect balance for the worse, and that’s right, then you are more likely to hurt yourself again. Do 5-10mins or balance work before your normal exercise routine. Our physios can give you some fantastic exercise ideas. FLO-BAC provides support to the low back. This is similar to many other products. Where this product stands out is that it also supports the trunk. Research as shown this to be much more effective in reducing back pain. and you can transfer it from chair to chair so being able to support your back, no matter where you are sitting. contact our staff on (07) 3511 1112 to find out more. low back. at the same time the front of the hip joint is opened up helping prevent hip joint pain. Please ask our friendly staff to find out more! 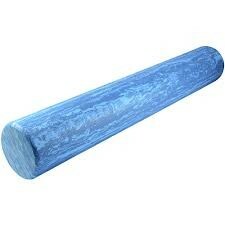 The foam roller is a must have addition to your fitness and wellbeing equipment. It is such a diverse product – perfect for rolling out your ITB’s, stretching out your back, doing core work, improving your shoulder control, increasing stability and strength and building your balance…the list is never ending.